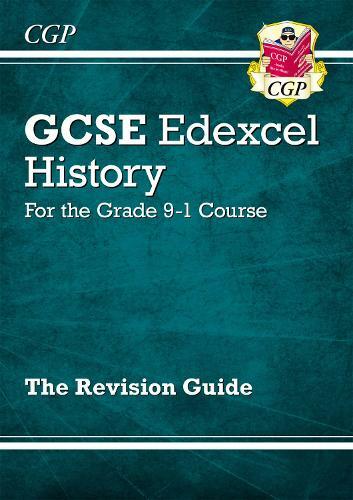 This CGP book is a brilliant guide to success in Grade 9-1 Edexcel GCSE History! It covers the most popular Depth Study, Period Study and Thematic Study options, drawn from a range of historical eras in Britain, Europe and the wider world. Each topic is clearly and thoroughly explained to help students develop their knowledge and understanding of history. There's also plenty of top advice on the skills needed for each section of the exam - perfect for scoring the best grade possible on the day.